Find below all the latest employment news from Government sector. Employment news published in the week 28th September 2015 to 4th October 2015 for organisations West Bengal State Health & Family Welfare Samiti (WBHFWS), Oil and Natural Gas Limited (ONGC), Jharkhand Staff Selection Commission (Jharkhand SSC), Office of the District & Sessions Judge Patiala, Central Railway, University Grant Commission (UGC), District Court Fatehabad, Cochin Shipyard Limited, Himachal Pradesh Police, Airport Authority of India (AAI), Uttar Pradesh Subordinate Services Selection Board (UPSSSC), Telangana State Public Service Commission (TSPSC), Jharkhand Public Service Commission (Jharkhand PSC) and Odisha Staff Selection Commission (OSSC). This week total number of vacancies published was 3552 in various locations. 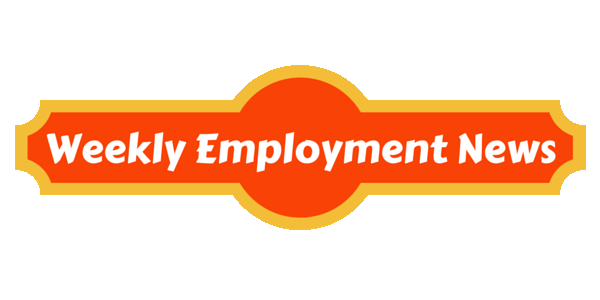 Employment news published in the week 28th September 2015 to 4th October 2015.